I don't think I have ever seen the full photograph -- just George. 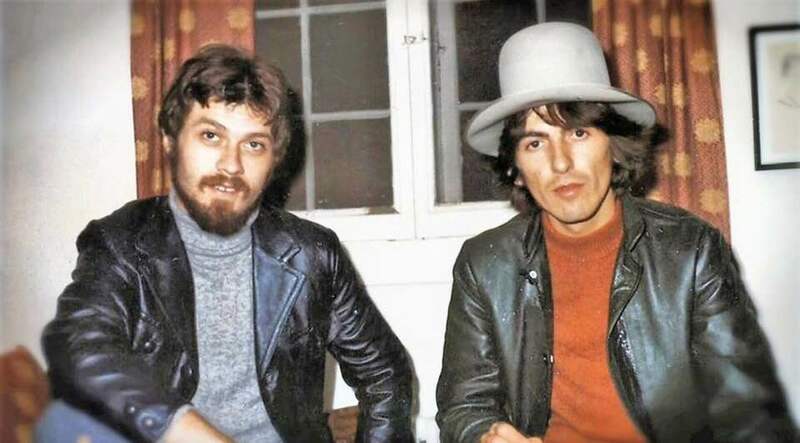 With Robbie Robertson of The Band in November '68, the same month that the White Album was released. Yep -- that is why I thought it was a good time to post this photo. Taken 50 years ago. Yes -- and they are visiting Bob Dylan at his house in Woodstock. Never said Bob Dylan was in the photo. You need to use something besides google translate. when you wrote"visiting Dylan" and post a Picture, with Robbie Robertson, what should i think. You should think it is exactly what it is: a photo of George and Robbie visiting Bob Dylan. Maybe "visiting" means something different to you in your native language.